I noticed that many people, including myself, have had some difficulties in styling the Chart control that comes with the Silverlight 4 Toolkit. It is relatively hard to go down the visual tree of the control in order to style the control in the Design view of Expression Blend so as to have a good look and feel. I searched the internet and I got little information on how to go about this process and I decided to work it through myself. 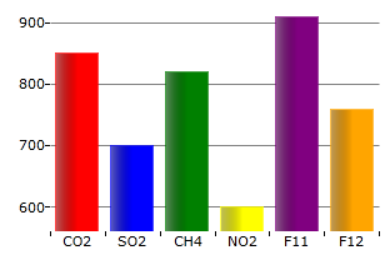 I succeeded in restyling the chart control and the majority of the working is done in XAML. I think this article will ease the challenges of other developers/designers facing this same issue. 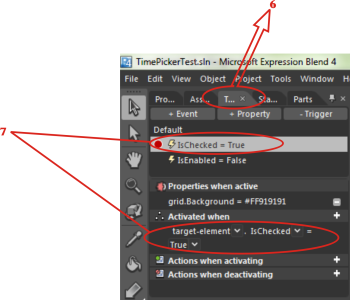 Note: You can follow the steps in this article both in Expression Blend 4 and Visual Studio 2010, but I will use Expression Blend 4 in this article. If you do not have the toolkit, it is available at Silverlight Toolkit – CodePlex. The method below creates new objects of the class above in a List where the values for each column are set. The number of objects created will determine the number of columns that your Chart will contain; most times your data comes from a database or cloud and this process will be dynamic rather than manual. 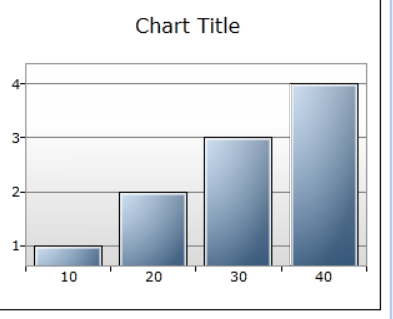 The last line of code sets the ItemsSource of the Chart control to the List object. 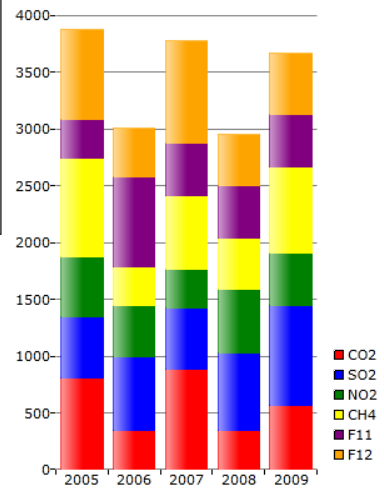 Note that from the above code, the Chart is bound to a class but this time around, the colors are fixed, although it is still possible to dynamically change the colors by databinding the Background properties in theControlTemplate. These techniques can also be applied to other StackedColumn Series such as Stacked100ColumnSeries,StakedBarSeries, and Stacked100BarSeries, with very little manipulations. Happy Styling! I was working on an application, Time Watcher 5.0, and I needed to use a TimePicker control which was not provided along with controls in WPF 4.0. There are several third party TimePicker controls but I was not satisfied with their “mechanism of action and behaviour”. Below are the steps I took to create my own custom TimePicker control knowing that it will benefit a lot of people by sharing the process. 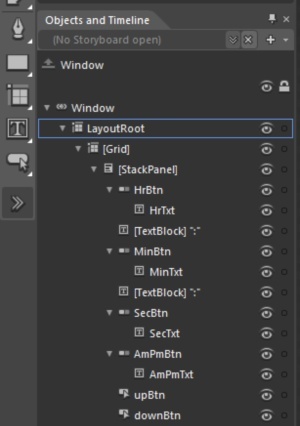 Please note that this is an introductory article on how to create custom controls for your application from a designer’s point of view. This article will give an insight on how to use existing controls to design your own custom controls, and recommendations on how to create reusable custom controls (with registered properties) are provided at the end of this article. In this demonstration, I’ll be using Expression Blend 4. Now let’s get to business! Right click on the ToggleButton and click Edit Template -> Edit a copy. Select ContentPresenter and cut, select the Chrome, and delete. Select Template in the Timeline and add a Grid to it from Asset. 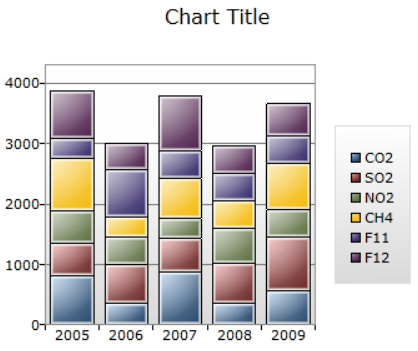 Select the Grid and paste the ContentPresenter inside it (your Object and Timeline panel should look like figure 2(a)). Make sure the Template node is selected in the Timeline. Go to the Trigger tab, add a new property (see Figure 2b). Change the property to IsChecked and set the value to “true” (see Figure 2b). Now select the Grid inside the Template and change the background colour to “#FF919191”. Rename the ToggleButton to ‘HrBtn‘. Select the ToggleButton and add a TextBlock to it. Rename the TextBlock to HrTxt and set the foreground colour to “#FFFFFFFF”. Select the ToggleButton and copy. Paste three copies of the ToggleButton inside the StackPanel. Rename the new copies of the ToggleButton as MinBtn, SecBtn, and AmPmBtn. Rename the TextBlock inside each ToggleButton as MinTxt, SecTxt, and AmPmTxt. Add two other TextBlocks to the StackPanel and set their Text property as ‘:’. Add two Button controls to the StackPanel and rename them as upBtn and downBtn. Set the Text property of these Button controls to ‘Up’ and ‘Down’, respectively. //Convert the resulting hour back to string format. //the code below alternates between Am and Pm. When creating a reusable control, it must be “skinable”; the use of the WPF commanding model (see Commanding Overview) is also better than raising clicked events if you are creating a control for reuse. A bindable DateTime or TimeSpan property will also enable users of this control to bind to it. For further readings on how to create a custom control and add dependency properties, I recommend Create a WPF Custom Control, Part 1 and Create a WPF Custom Control, Part 2 by David Veeneman.